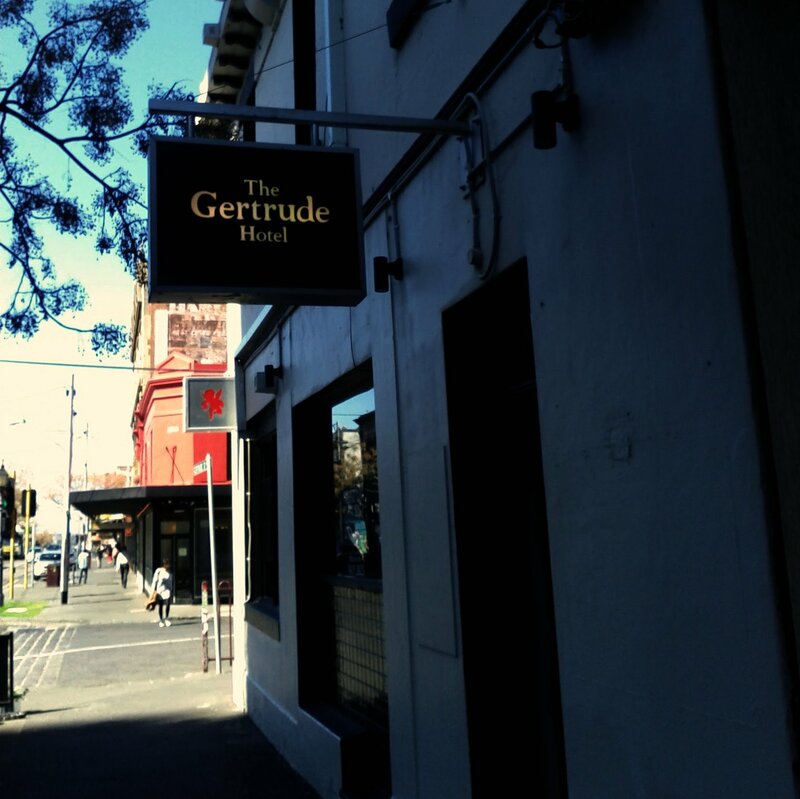 Brendan and I had strolled past the Gertrude Hotel after a previous lunch, and were interested enough by the recently renovated pub to return. 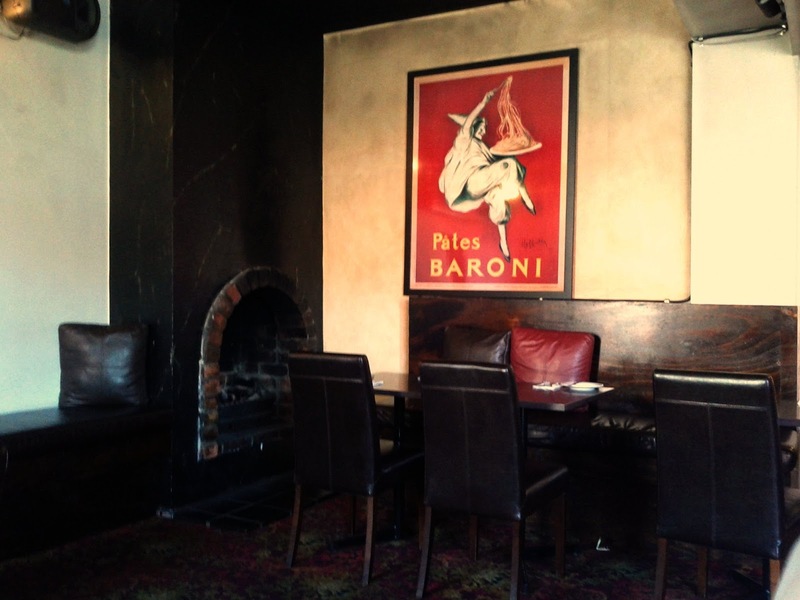 As the name suggests it's situated on Gertrude street in Fitzroy, and was originally the "The Drewery Family Hotel" with a history to suit the area's colourful past. Inside the front area still has a pub feel, albeit a stylish modern one, with stools and high tables, there were also tables outside on the wide pavement. It serves a range of interesting beers which I had to resist. 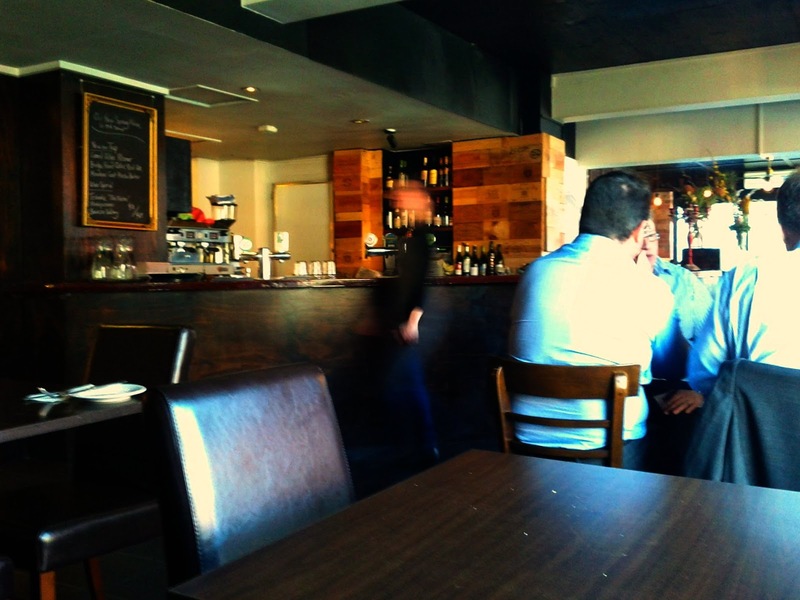 The restaurant area at the rear of the building has some original looking features, but also dark wooden tables and bench seats and leather seats. Although we were ordering from the bar menu we were seated in the restaurant area where we received table service, there quite a few other tables occupied in this area and a one or two outside. 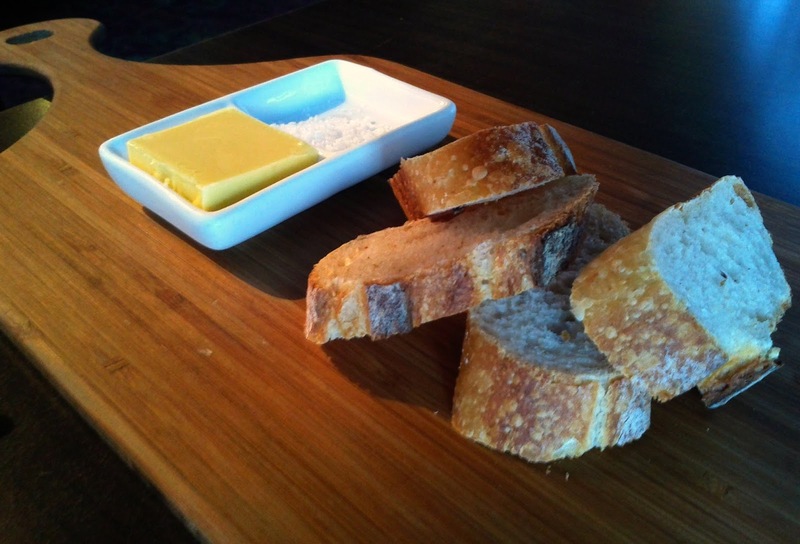 After ordering we were brought some good quality bread, butter and salt. 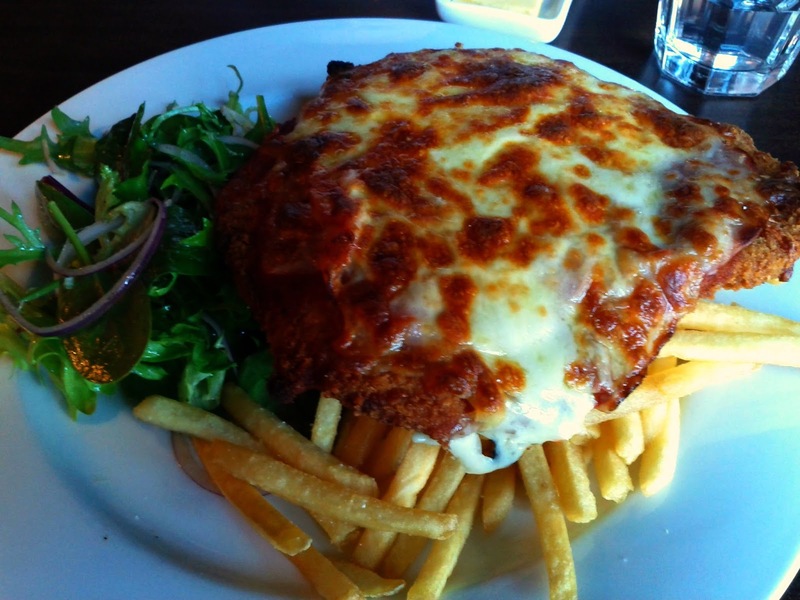 We both took advantage of the Tuesday $12 special on the chicken parmigiana with chips and salad. I prefer chunkier chips, but the thin ones were super crunchy. The salad was fresh with a subtle dressing. The parma covered a big area but was fairly thin, and mine verged into the slightly dry territory, but not enough to stop me from devouring it all. The service was certainly at a level above what I'd expect at a pub, certainly one serving food at the price of their specials! I'd be happy to go back again to try another lunchtime special, or in the evening/at a weekend to grab a beer with food.